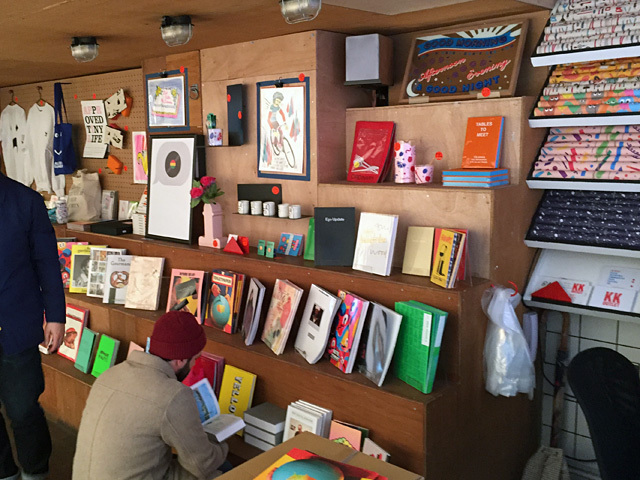 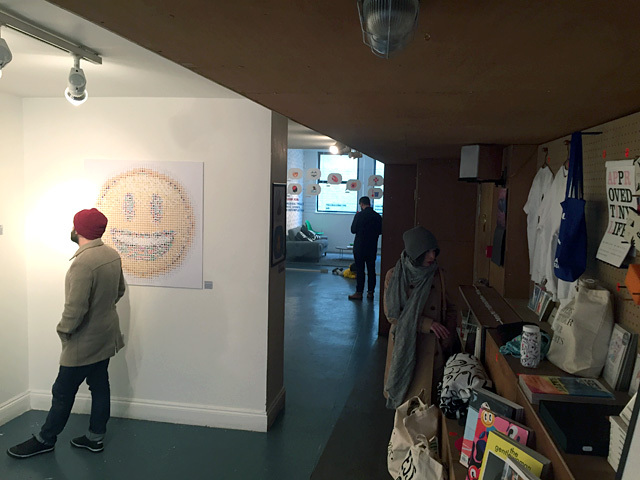 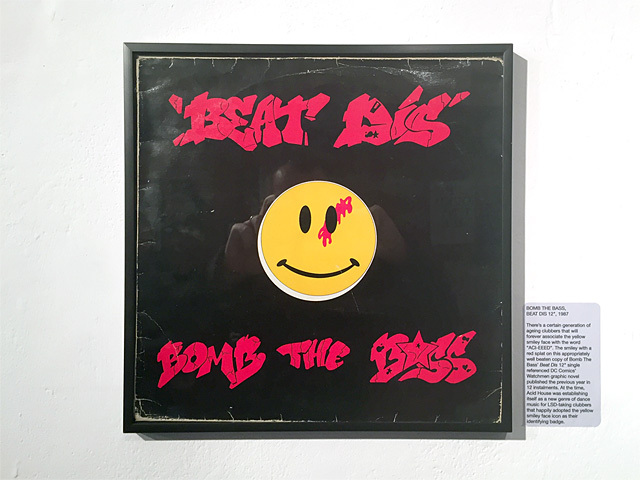 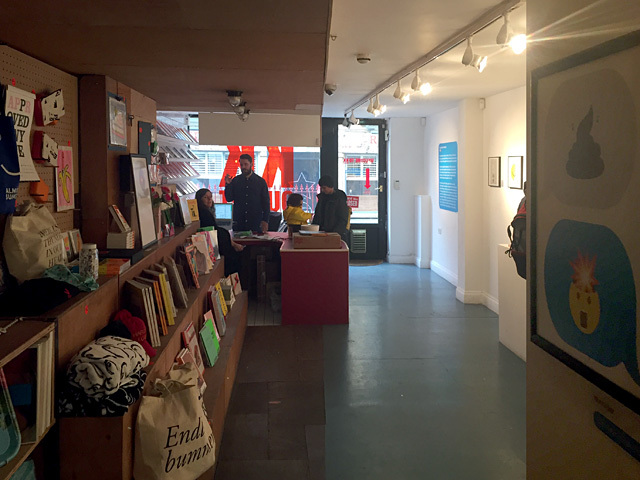 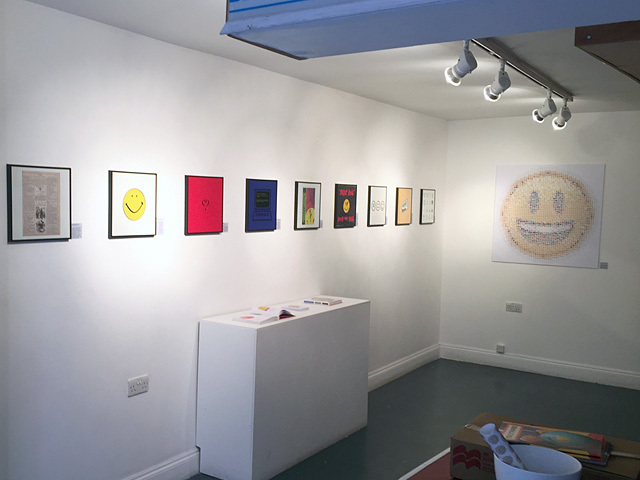 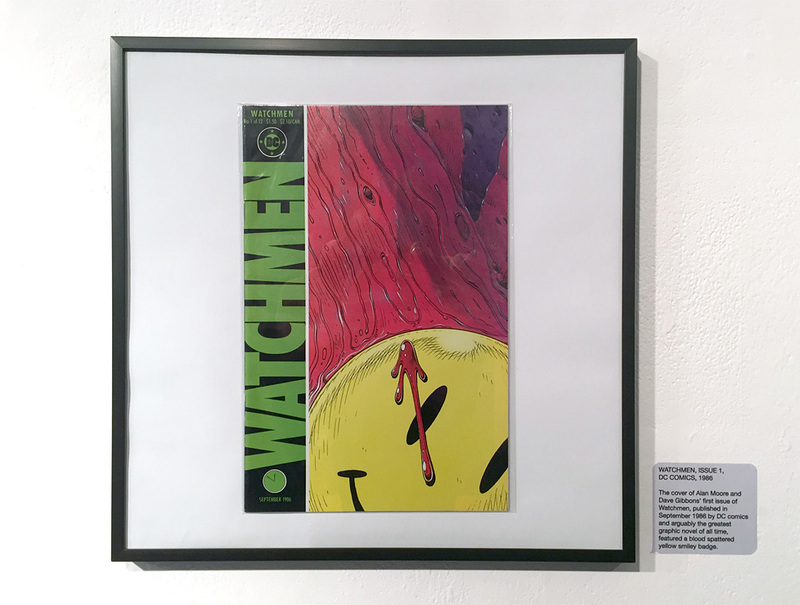 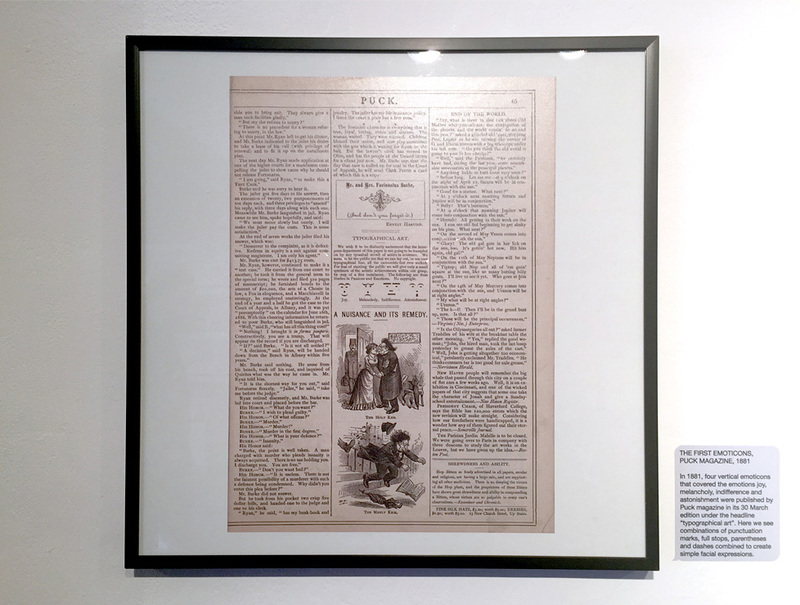 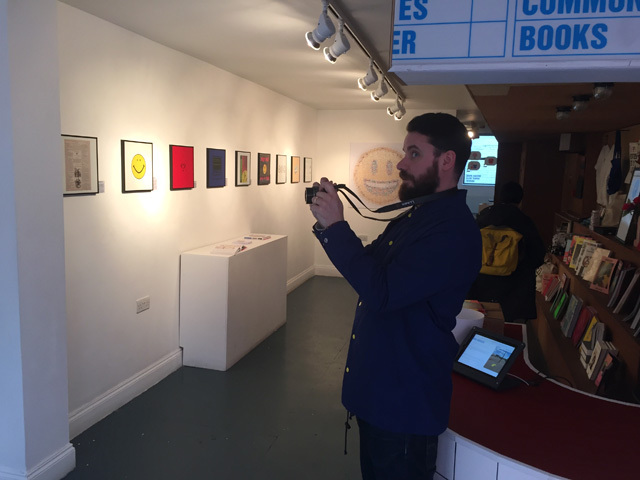 The book launch exhibition was curated by Gavin Lucas. 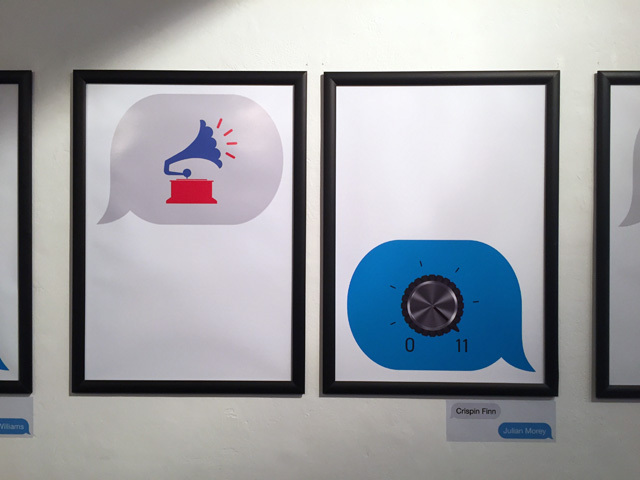 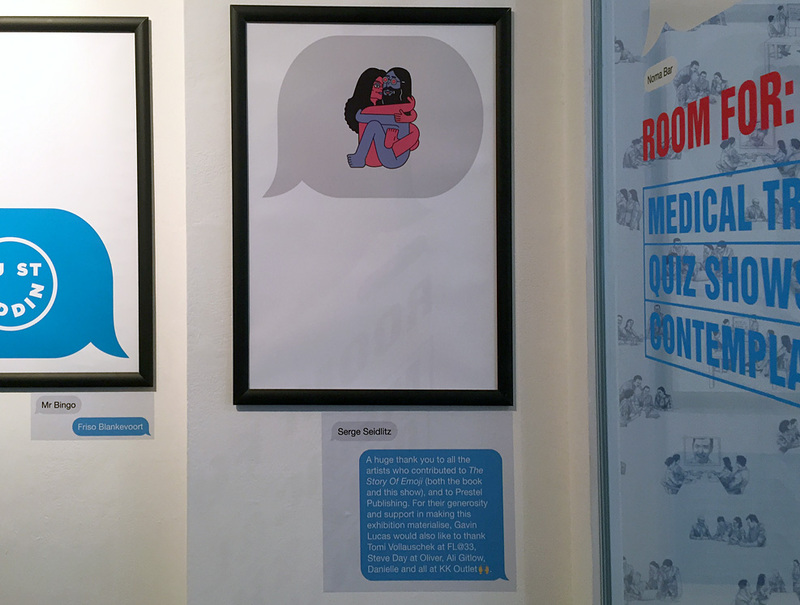 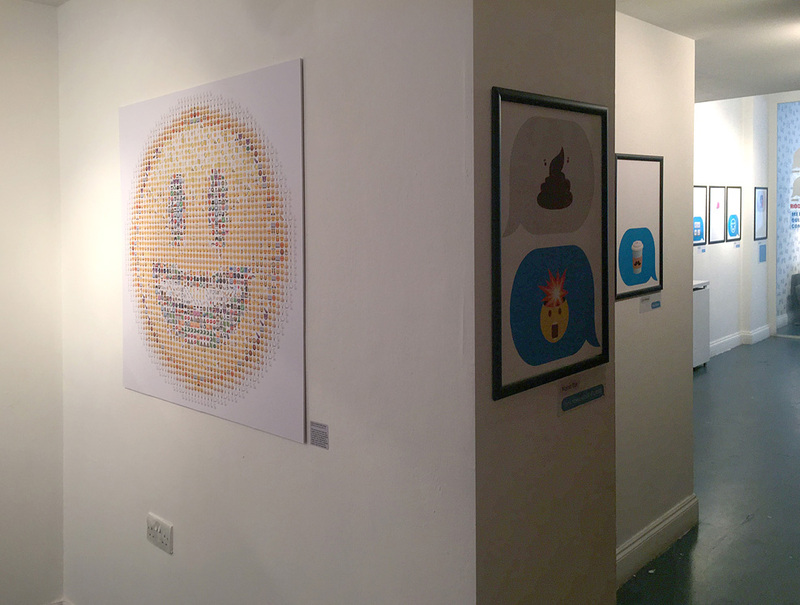 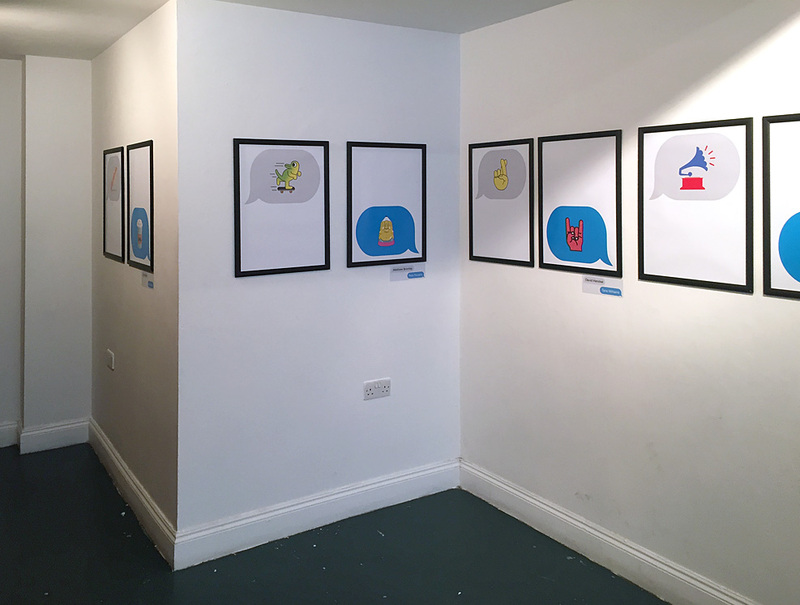 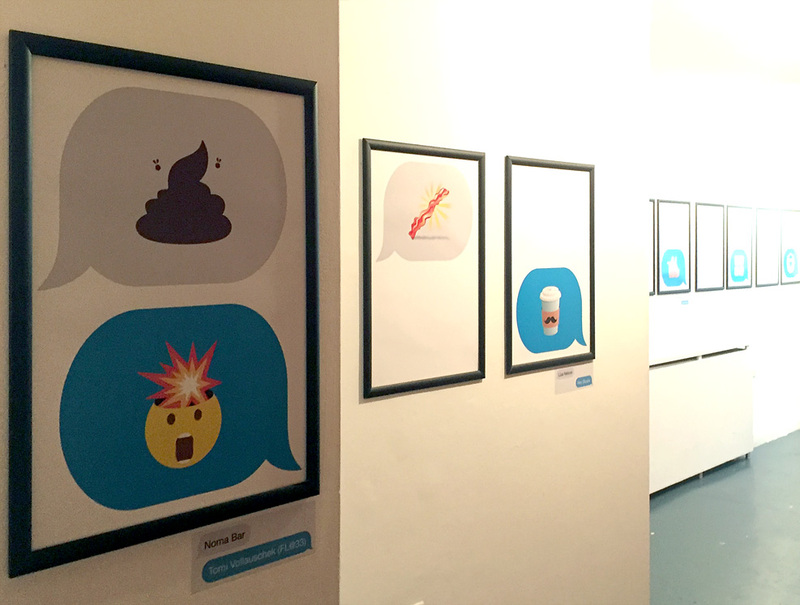 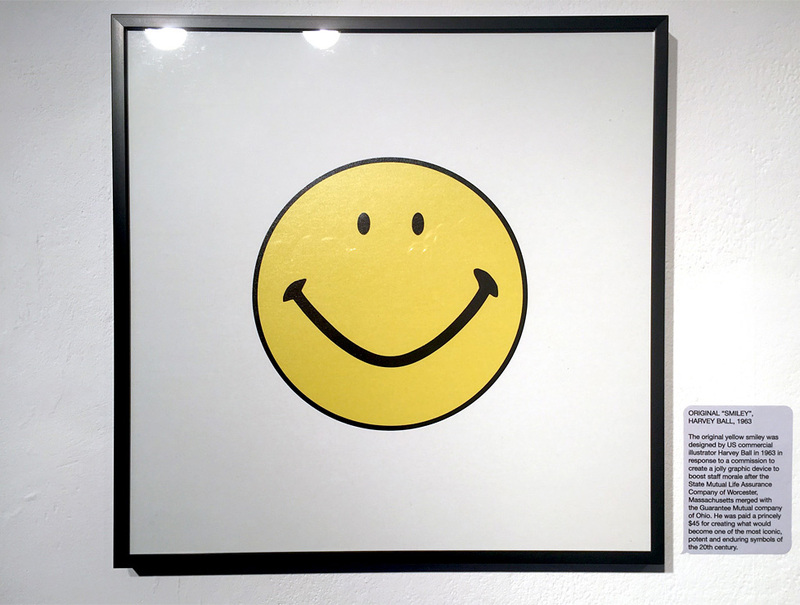 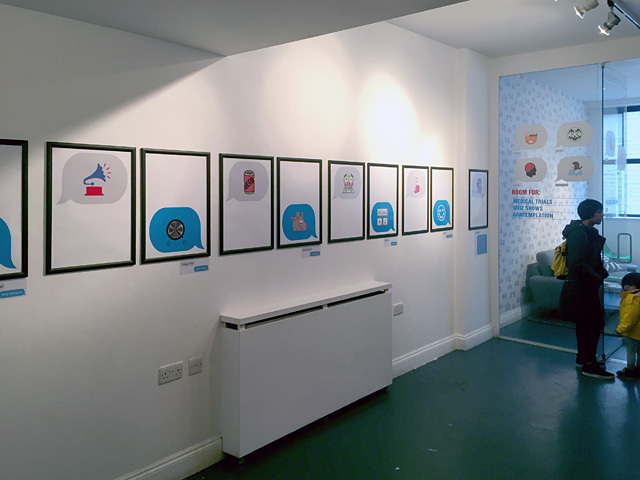 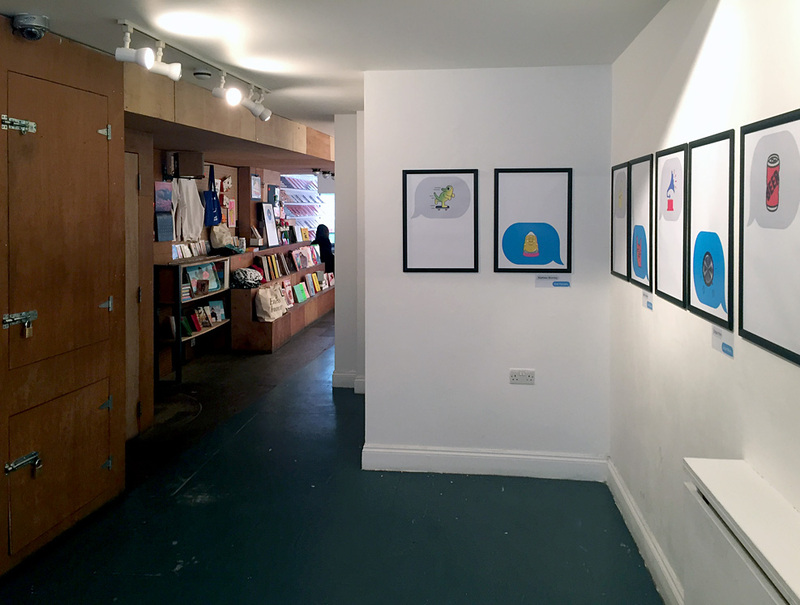 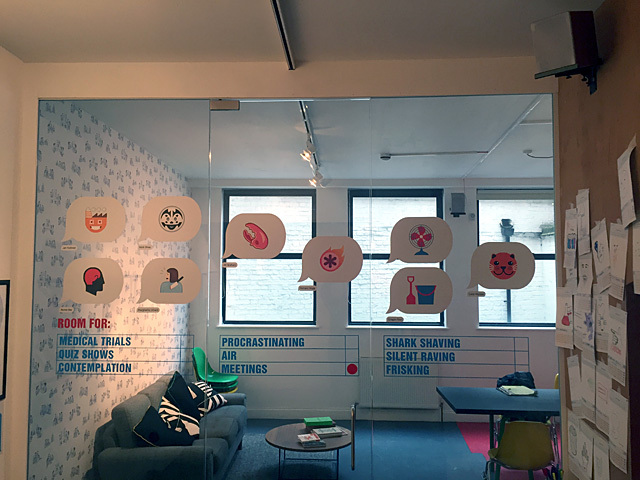 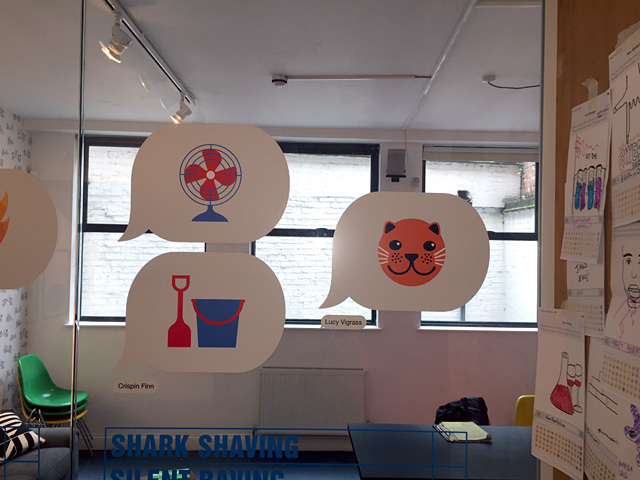 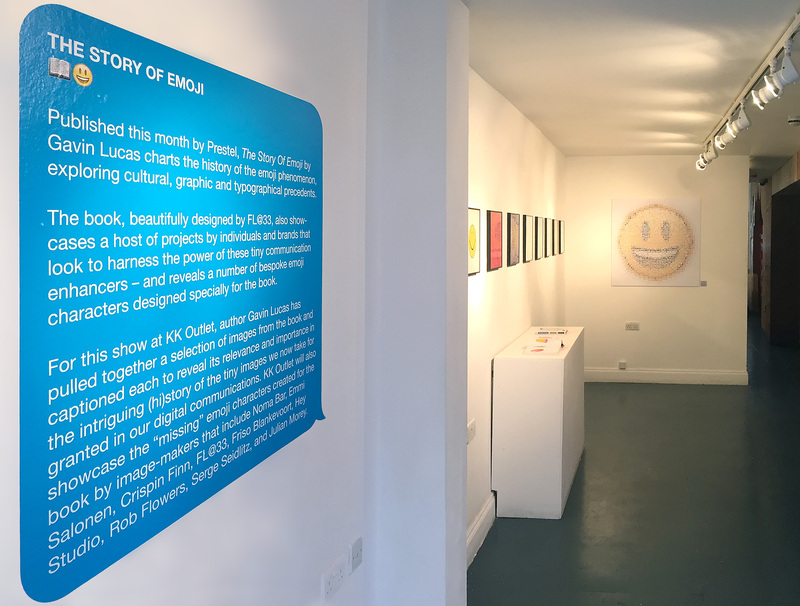 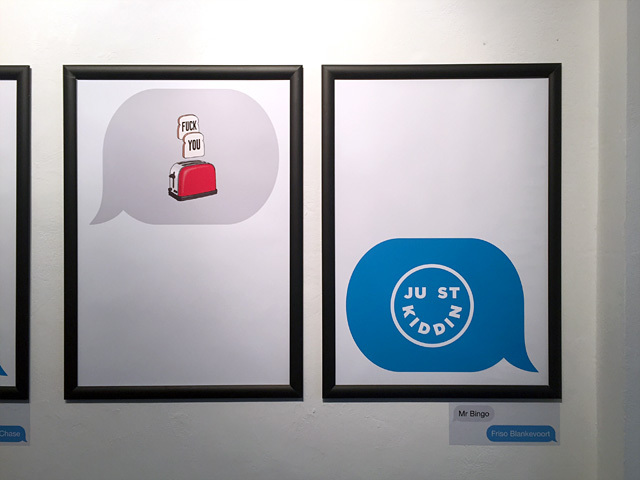 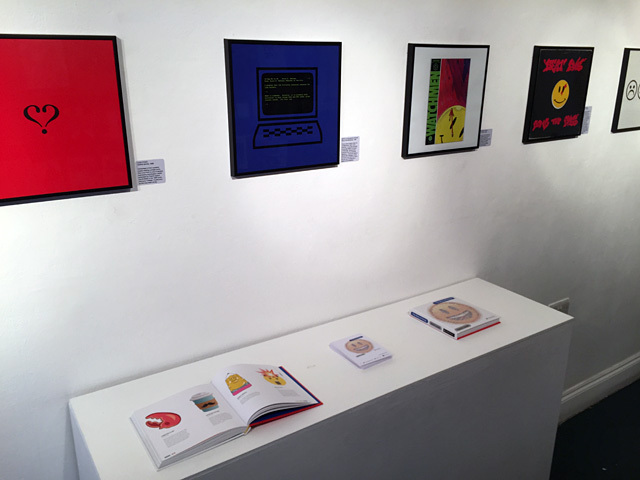 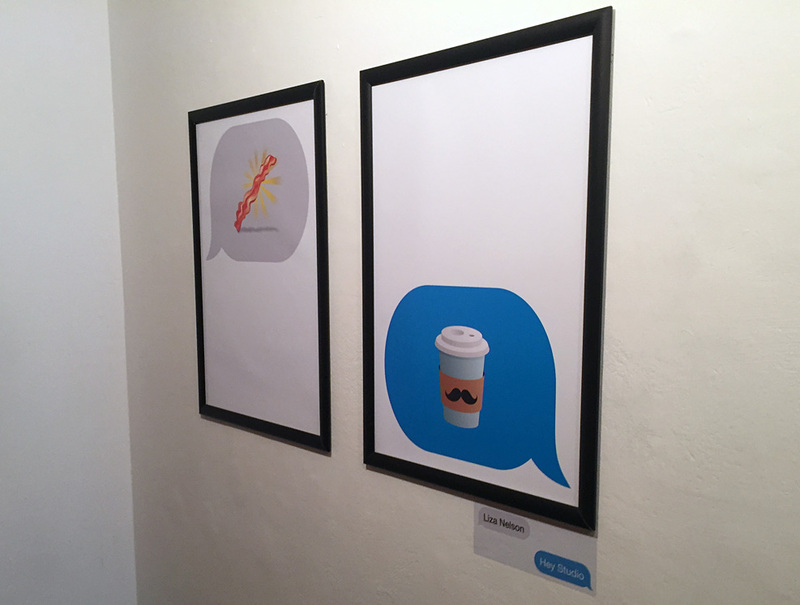 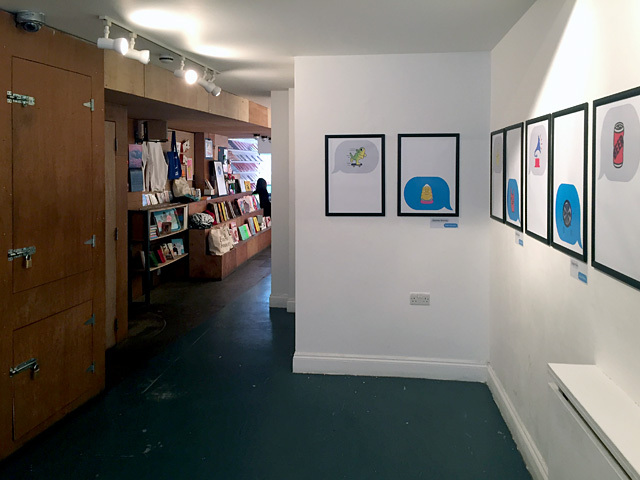 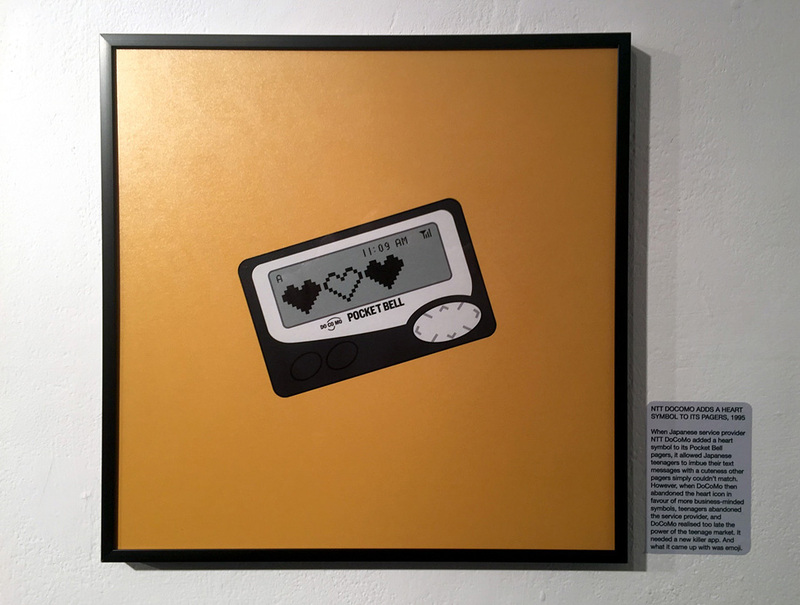 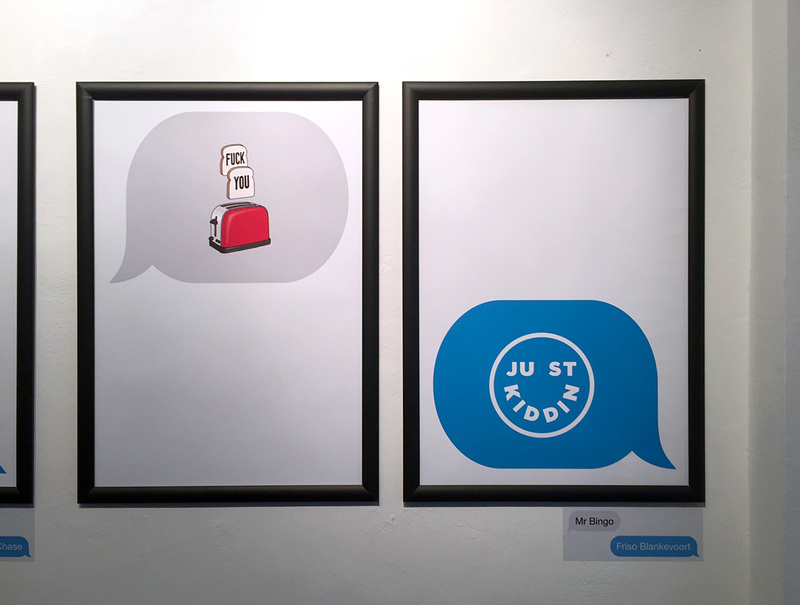 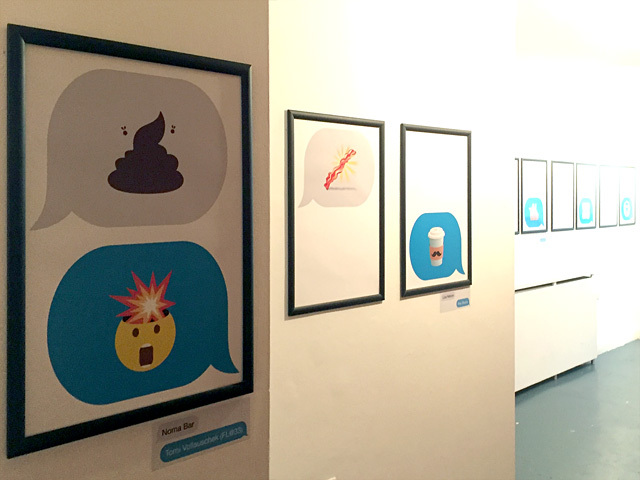 As designers of his book The Story of Emoji we helped to prepare some of the exhibits that were then produced by the show's sponsors. 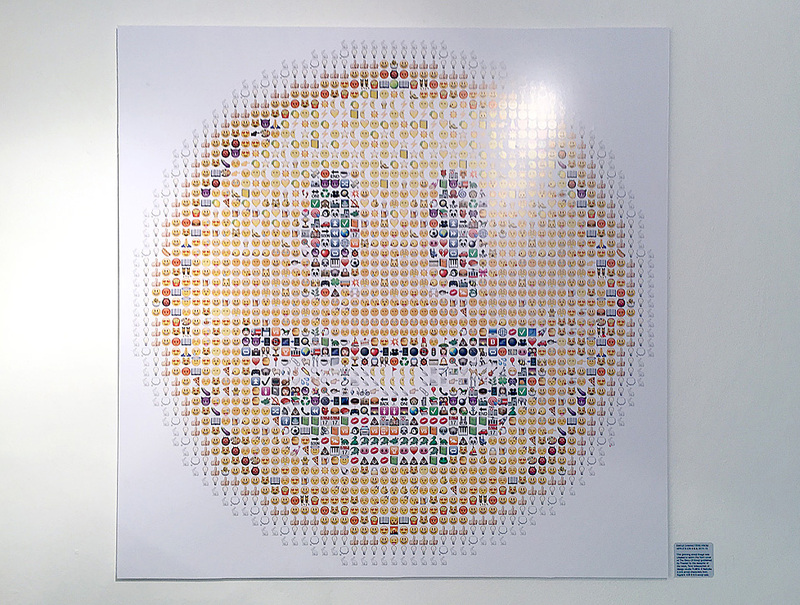 We also had the FL@33-designed front cover artwork printed on a massive 1x1m. 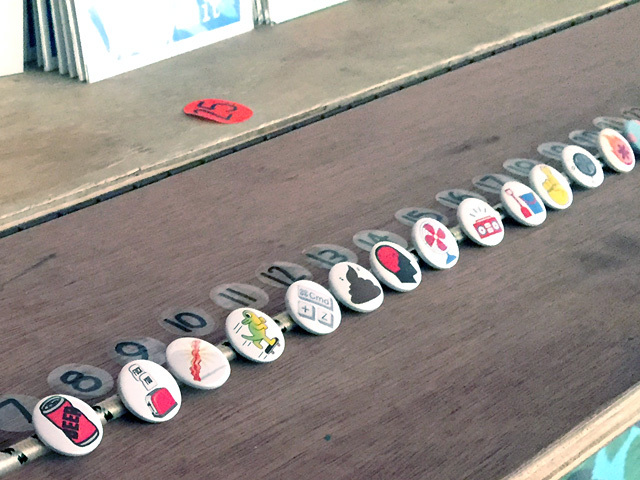 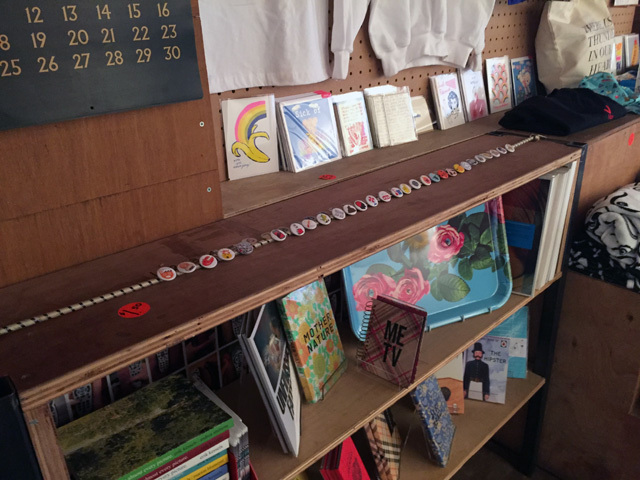 A series of emoji button badges was also launched as part of the show that are now available at stereohype.com. 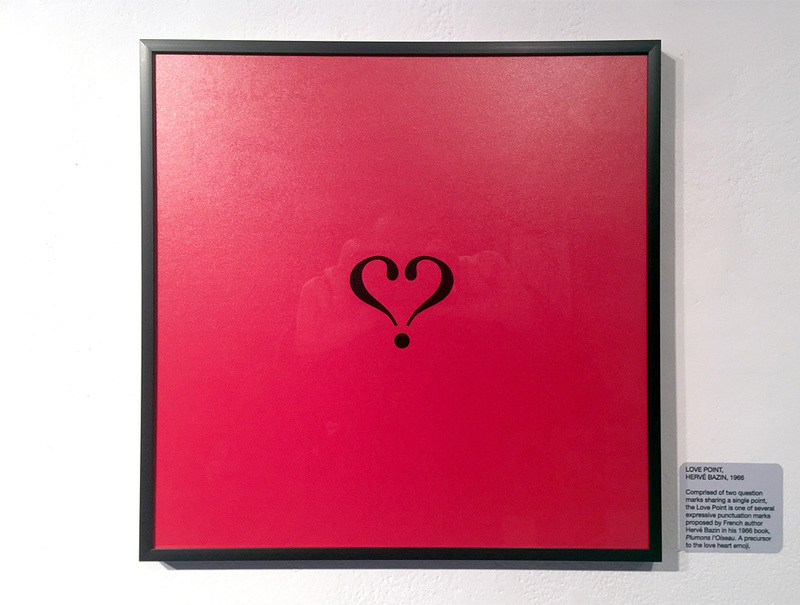 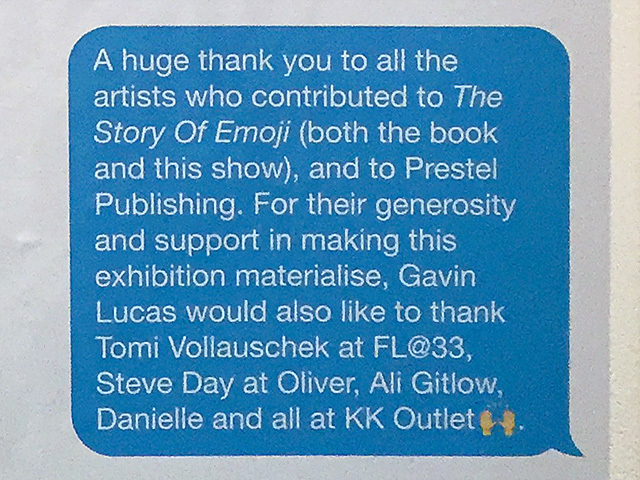 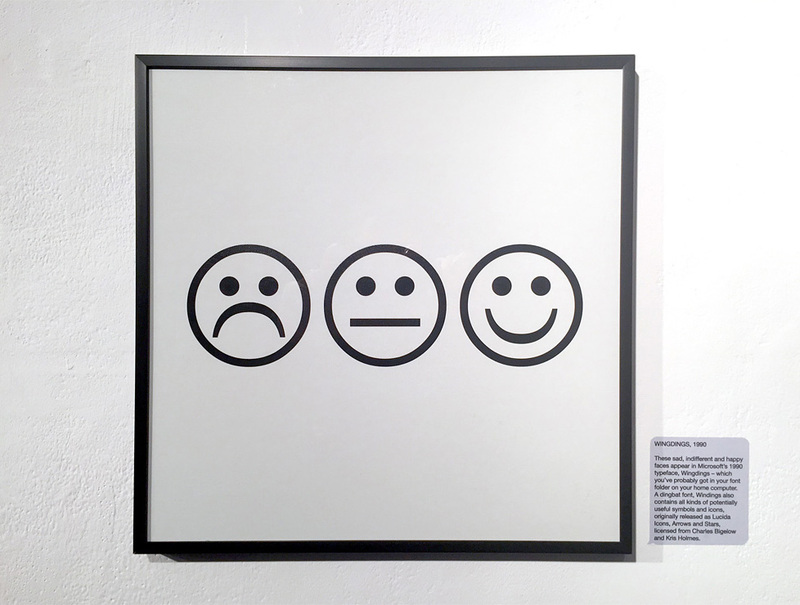 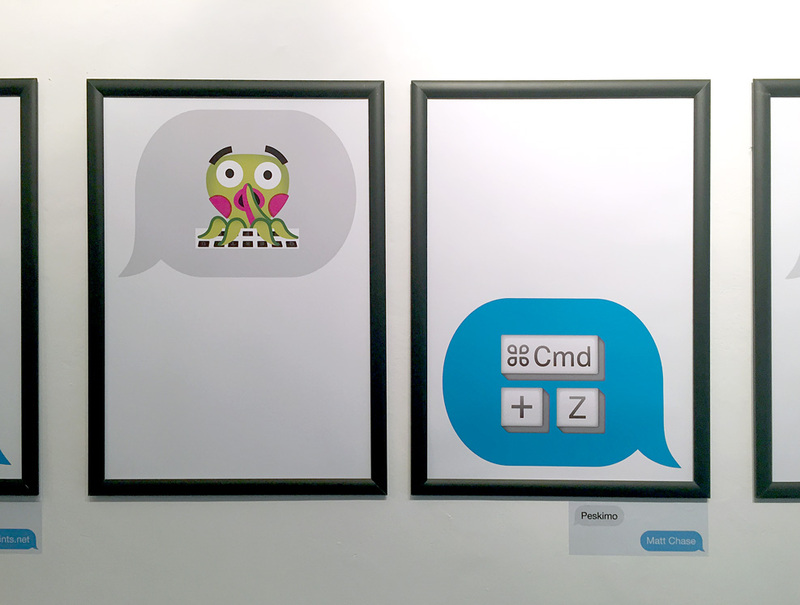 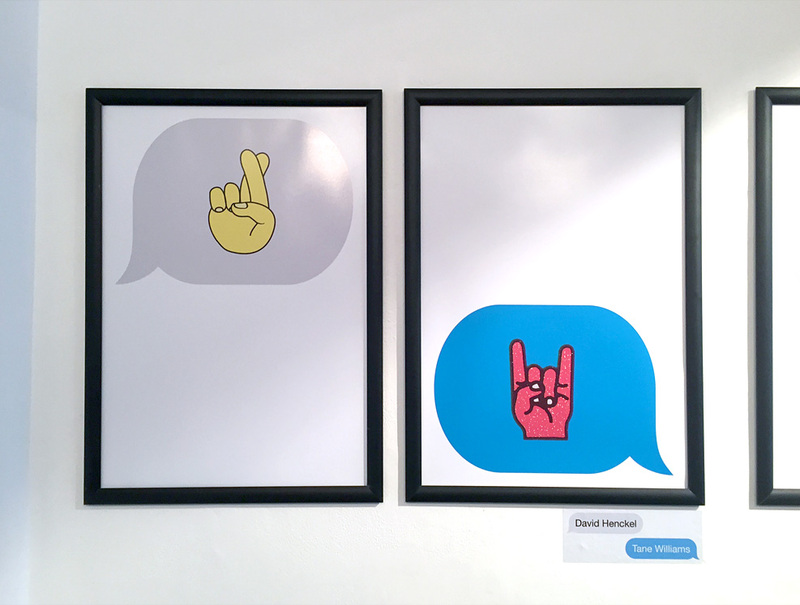 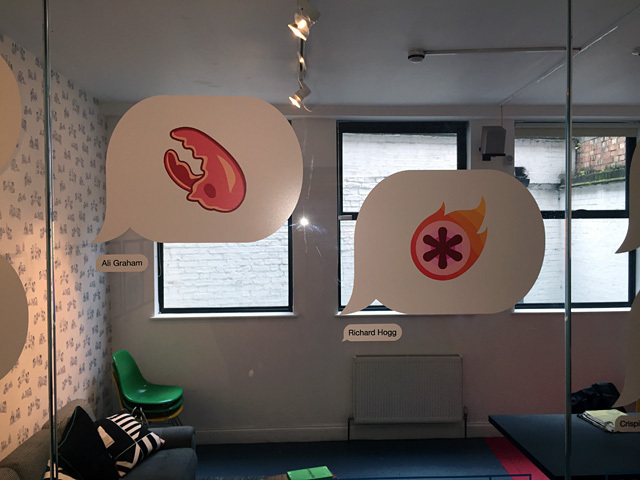 ___ Together with FL@33's sister company Stereohype and the book's author we put together a series of selected custom emoji as originally featured in the FL@33-designed book The Story of Emoji by Gavin Lucas (Prestel, March 2016). 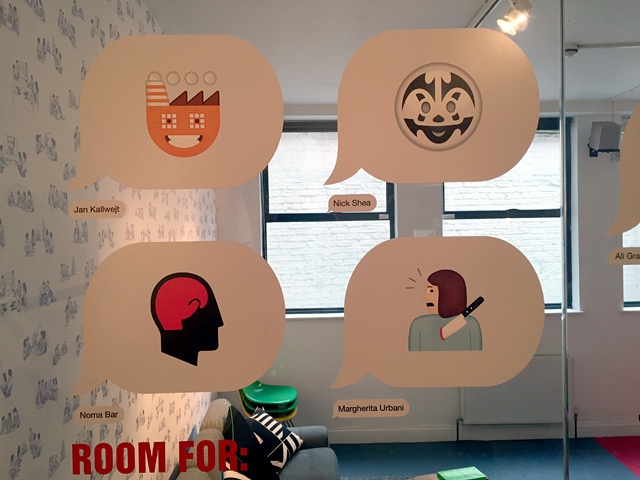 ___ If you could create a new emoji, what would it be? 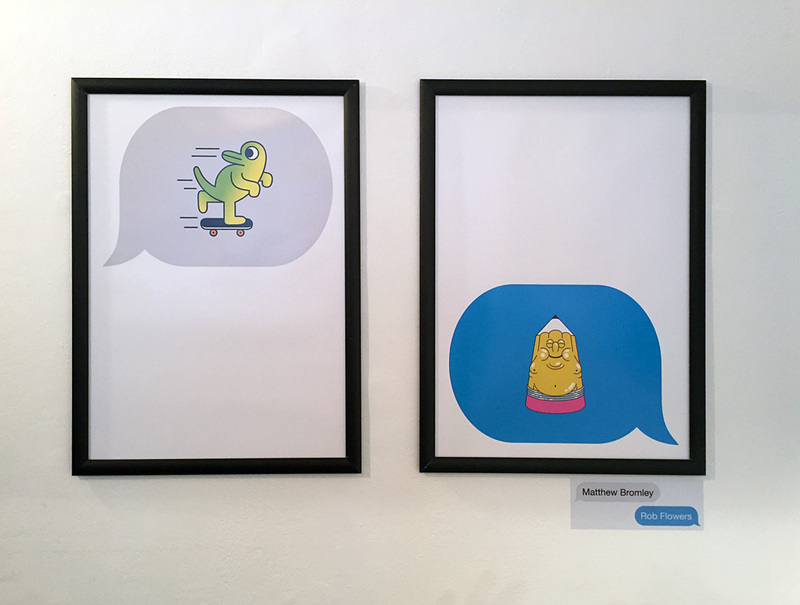 Gavin Lucas asked a number of image-makers (including FL@33) from around the world to design new emoji characters they wish really existed. ___ The resulting one inch (25mm) button badge series is a collaboration between Stereohype, Gavin Lucas and the selected emoji contributors Ali Graham, Crispin Finn, David Henckel, FL@33, Friso Blankevoort, Hey Studio, Jan Kallwejt, Julian Morey, Liza Nelson, Lucy Vigrass, Matt Chase, Matthew Bromley, Mr Bingo, Nick Shea, Noma Bar, Peskimo, Richard Hogg, Rob Flowers, Serge Seidlitz, Tane Williams and TwoPoints. 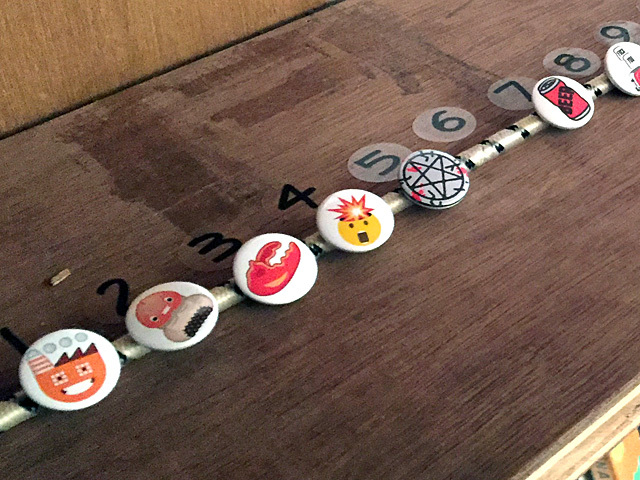 Get your emoji button badges here. Published this month by Prestel, The Story of Emoji by Gavin Lucas charts the history of the emoji phenomenon, exploring cultural, graphic and typographic precedents. 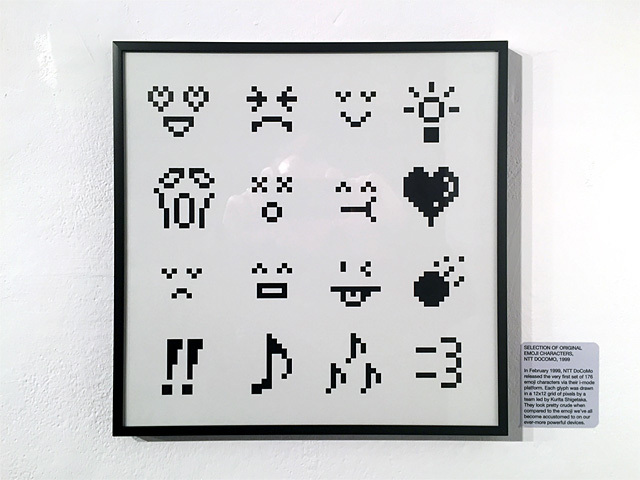 ___ The book, beautifully designed by FL@33, also showcases a host of projects by individuals and brands that look to harness the power of these tiny communication enhancers – and reveals a number of bespoke emoji characters designed specially for the book. 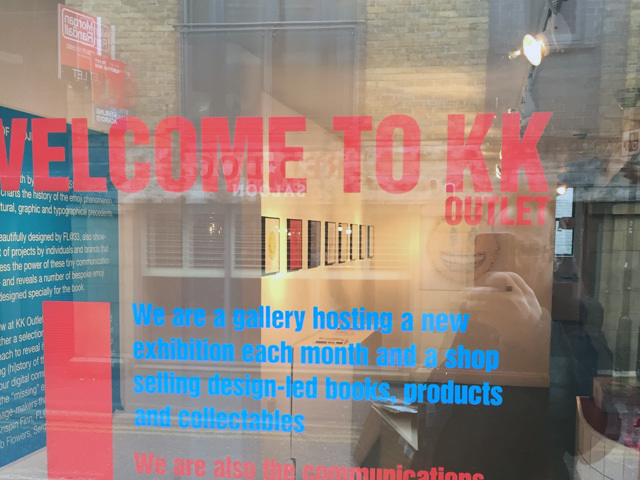 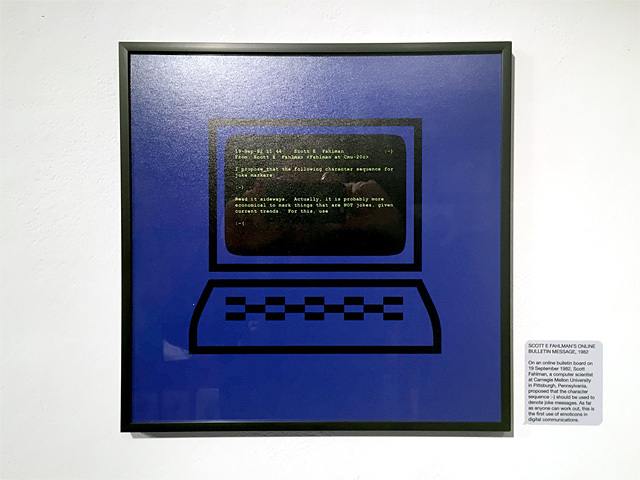 ___ For this show at KK Outlet, author Gavin Lucas has pulled together a selection of images from the book and captioned each to reveal its relevance and importance in the intriguing (hi)story of the tiny images we now take for granted in our digital communications. 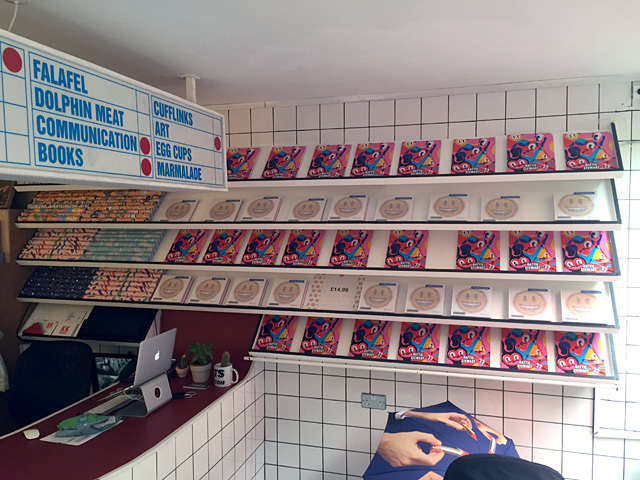 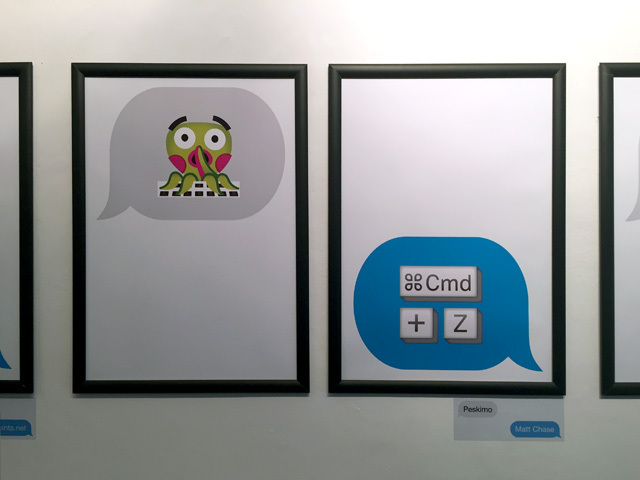 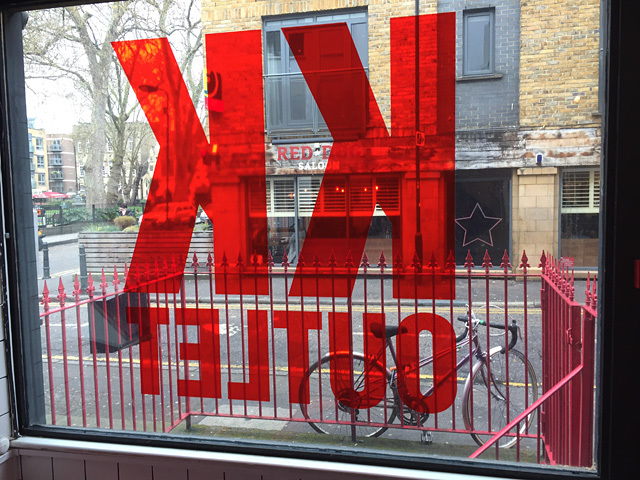 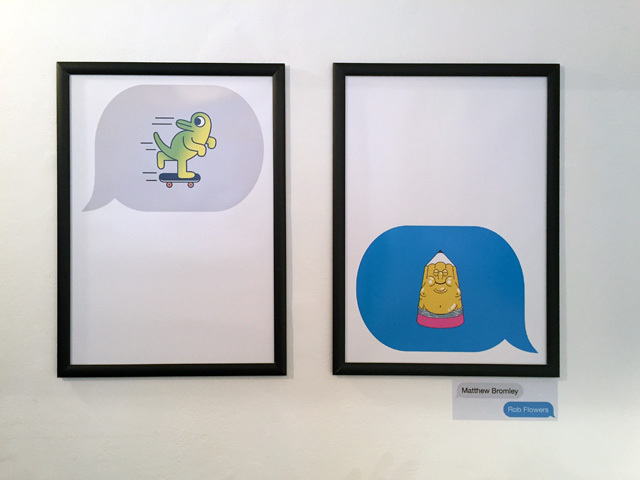 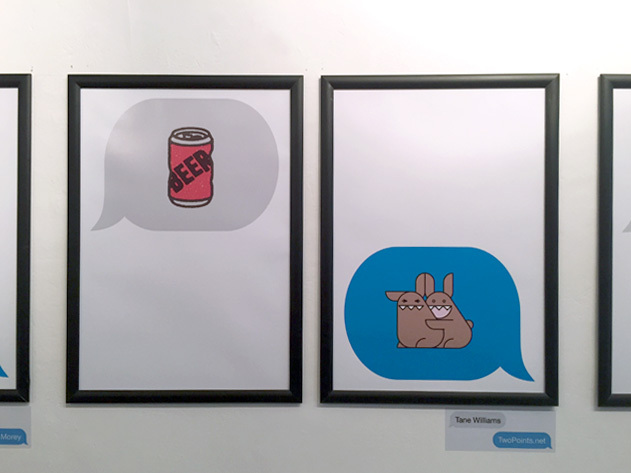 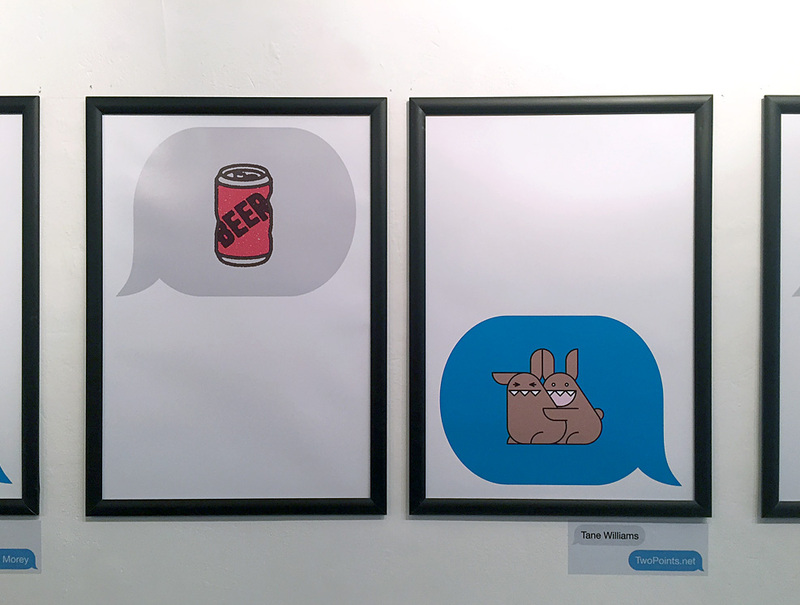 KK Outlet will also showcase the new emoji characters created for the book by image-makers that include Noma Bar, Crispin Finn, Mr Bingo, FL@33, Friso Blankevoort, Hey Studio, Rob Flowers, Serge Seidlitz, and Julian Morey.